Algeria's parliament confirms Bensalah as interim president - The Maghreb Times ! Algeria’s parliament has officially confirmed Senate President Abdelkader Bensalah as acting head of state for the next 90 days replacing Abdelaziz Bouteflika who ruled the country for nearly two decades. The move on Tuesday to designate Bensalah interim president follows the constitutional council’s decision last week to declare the presidency vacant, after Bouteflika submitted his resignation. He stepped down after nearly two months of protests. 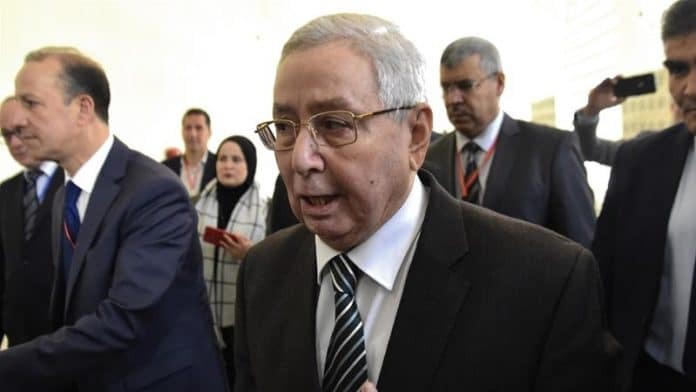 “I am required by national duty to take on this heavy responsibility of steering a transition that will allow the Algerian people to exercise their sovereignty,” Bensalah said. Bensalah will rule until new elections are held, in accordance with the country’s constitution. On Friday, three days after Bouteflika resigned, tens of thousands of Algerians marched in cities across the country to demand a complete overhaul of the political system. In addition to Bensalah, protesters said they do not want Prime Minister Noureddine Bedoui and Constitutional Council President Tayeb Belaiz, all known to be Bouteflika loyalists to be involved in the political transition. “If they keep up the momentum for the next couple of weeks, they will definitely have their message heard by the military establishment,” said Al Jazeera’s Hashem Ahelbarra.